Hi, I am new to this forum but have seen where some info about Audacity is already posted here but none of the answers resloved my issue. I have been using Audacity for sometime but recently the program started recording trash. By that I mean the recorded sound starts out perfectly and then starts going soft and loud, cutting out some music, playing only the voice parts with no music and sounding generally high pitched in some parts of the recording. This has baffled me since it has been so good up til now. I hope someone can give me some info in laymen's terms that I can understand as I really like to use Aucacity. I appreciate any help. Can you explain your recording process more, or post a screenshot of your project? I have a few theories, but want to see what you're seeing. Are you running any processes on the audio? I have been recording from the Internet without any problems. Just open Audacity, when the sound starts I click Record on Audacity and it proceeds to record. The first part of the sound is recorded well and then the bars shown in Audacity get smaller and go from small to bigger intermittenly.. where the bars go small it sounds like the music is in a barrel or something. I haven't changed anything on the computer or Audacity to my knowledge, it just started recording sloppy. A screenshot would not show anything of use in my opinion. It simply doesn't record the sound at the same level all the way thru although the sound coming from the speakers never change. How are you recording? Stereo Mix or an audio line from your speakers to your input? It sounds like your computer is auto-adjusting the volume. Well, I am pretty sure it's line feed from the speakers, I don't change settings when something is working the way I like why change, right? But, it doesn't matter where I record from, the net or computer, it sounds the same. Not something I want to hear.. I don't know how to stero mix or maybe I clicked something by mistake.. but something went wrong. I even tried removing and reinstalling no luck. About to give up on it. I've been on Windows 7 for a while, so I'm doing this off memory. Open your volume controls by double-clicking on the speaker icon near your clock. Go to the File menu and then Properties. Ensure that "What U Hear" or "Stereo Mix" or "Wave" is enabled. Now checkmark under "What U Hear" to set it as the recording input. Adjust your internal system volume as you normally would (ignore your physical speakers). Let me know if that fixes it for you. This will record much better than running an audio cable like spaghetti. What programs do you have running? Anything like Skype? Are you using generic audio drivers, or does your RealTek have some special software interface? Something, somewhere is trying to auto-adjust your levels. 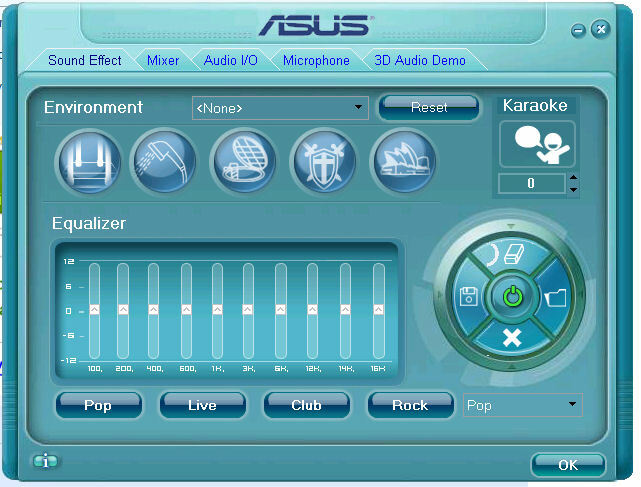 Go through the RealTek interface. In fact, post a screenshot or two of it, if you can. When I click the RealTek icon attached is a screenshot of what opens. I have never tried to adjust this software. Give me a screenshot of the Microphone tab. I'm familiar with this interface, but I don't remember it well.